At Heritage Dental Group we are all about providing the highest quality of care whether you just need a simple clean or complex treatment involving implant retained crowns with full mouth cosmetic rebuilds. The only way to get this is through experienced dentists who have done this before and know what it takes to get the best results first and every time. All our dentists have vast experience in all aspects of dental treatment and have spent many years each honing their skills to provide you with the best possible outcomes. They all attend regular continuing education seminars and workshops to be up with the latest in dental advances in materials, procedures and equipment. Graduated from the University of Queensland in 1996. Worked for Queensland Health for 2 years in various locations in adult and school based clinics around Brisbane for the first 6 months after graduating, then took the position as the sole dentist in the government run clinic in the town of Tully. Here he honed his diagnostic and clinical skill reducing a one and half year waiting list to six weeks in just over a year. He also spent considerable amount of time treating school children in the district through the School Dental Service. Dr Harminder Singh has an eye for detail and his desire to achieve perfection for his patients, lead him to setting up his own private practice, Tropical Coast Dental, in Innisfail in 1999. Then for the following sixteen years he improved and mastered many aspects of dental treatment to high levels and worked with specialists in the fields on Endodontics, Periodontology, Cosmetic dentistry and Implantology to achieve outstanding results for his patients. He continues to take an active role in promoting early preventive measures in schools kids to help improve lifelong dental health. Harminder enjoys all facets of dentistry with a particular interest in Cosmetics, Endodontics, Crown and Bridge work, Periodontics and Implant work as he continues to hone his skills in achieving outstanding and aesthetically pleasing results for all his patients. As the Principal Dentist here at Heritage Dental Group he will be able to call upon his years of experience and access to many local specialists in all fields of dentistry to deliver the best results for all your needs. Graduated from the University of Queensland in 1993. Gurbaksh worked for Queensland health for 8 years in various locations around Far North Queensland in the city of Cairns, and as Senior Dental Officer in the Innisfail Health District. Gurbaksh also spent time with the Royal Flying Doctor Service as the dentist servicing the remote and rural communities on the Cape York Peninsula north of Cairns. Joined private practice set up by Dr Harminder Singh (his younger brother) in Innisfail in 2005. Dr Gurbaksh with his 25 years experience in the field of dentistry, provides personalized dental care for all his patients. Dr Gurbaksh will exceed your expectations with his clinical excellence and honest gentle approach. Gurbaksh is the go to man when it comes to crown and bridge work and oral surgery. Gurbaksh enjoys all aspect of dentistry with a particular interest in Oral Surgery. Graduated from the University of Queensland in 1992. Worked for Queensland Health in Townsville and the surrounding region in adult and School Dental Service clinics and vans for 3 years before branching out in to private practice in Townsville. 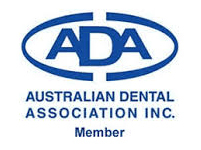 Mandev moved to Brisbane in 1998 where he worked in private practice and also did 2-3 years with the Army Dental service in Lavarack Barracks in Townsville and Gallipoli Barracks in Brisbane. In 2004 Mandev Singh moved full time in to his own private practice where he now spends most of his time treating patients with complex and demanding cosmetic requirements. Mandev enjoys all aspects of dentistry especially cosmetic and implant work. He will be available as a consultant and treating dentist here at Heritage Dental Group for more complex cases.